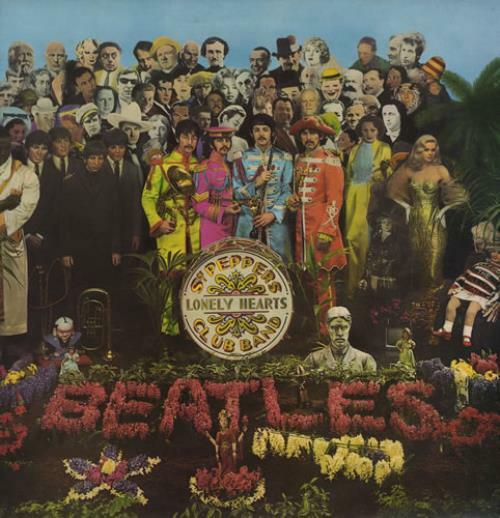 THE BEATLES Sgt. 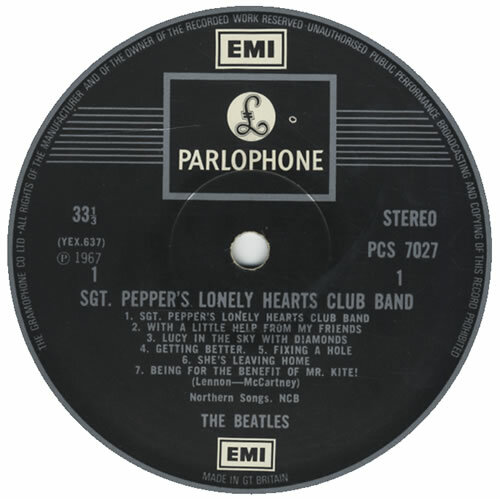 Pepper's Lonely Hearts Club Band (1970 UK issue of the 1967 13-track stereo LP with two EMI 'box' logo labels & 'The Gramophone Co' perimeter text, complete with intact set of cutouts, fully laminated gatefold picture sleeve which has been 'Demostration Only' gold promo stamped on the inside of the gatefold. 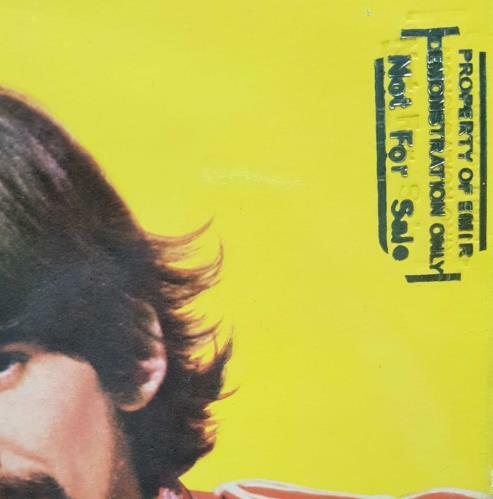 The sleeve shows only light wear & the vinyl has just a few light signs of play, a really nice example and the first we have ever had PCS7027).